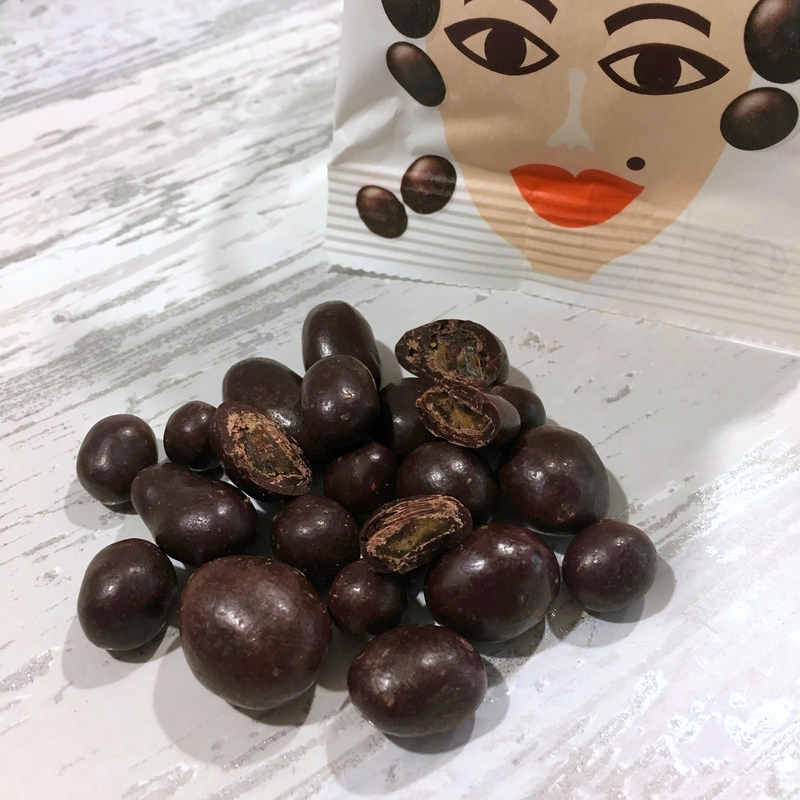 Fresh on the food scene these Choc Chick Quinoa Pops and Plantain Bites only launched on the 13th October. 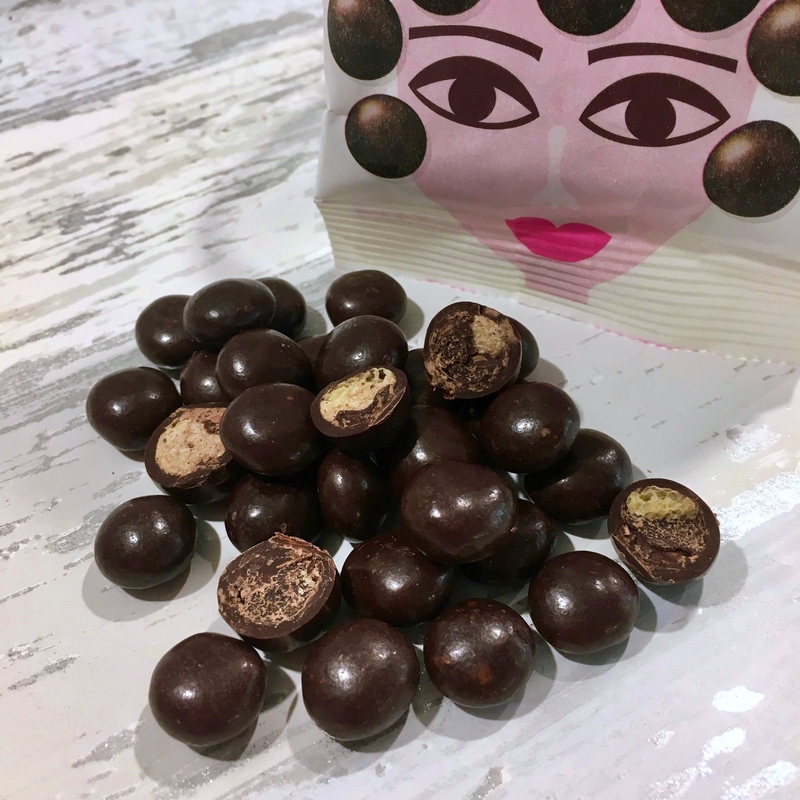 Ethically sourced natural raw cocoa, Choc Chick have chosen the single origin Nacional Arriba Fino de Aroma bean, as it’s renowned for its floral and fruity notes. They also work with cooperatives of family farms that have been growing cacao for generations and are proud to shout out that they can trace each batch from the plantation to fermentation, drying and production. Personally Choc Chick is completely new to me. Looking at their website they actually do quite the range of products from these Quinoa Pops and Plantain Bites, to hot chocolates and make your own raw chocolate. They are also stocked in independent shops as well as Holland and Barrett, Asda and Whole Foods. With its clean white and pop of vibrant colour, I really like the re-vamped packaging and it would certainly catch your eye on the shelves. These Choc Chick Quinoa Pops and Plantain Bites are both dairy and gluten free and are suitable for vegans. Pretty much any chocoholic can enjoy these bites and pops. Opening the bag made way for a really deep rich coca aroma. With varying sizes and all as glossy as can be, these bites were intense, chocolatey and really hit the spot. The thick chocolate was balanced by the crunchy wholegrain popped quinoa and rice which gave it some much needed texture. Using quinoa is a great idea to get that crunch factor and on the whole these pops work really well. Again these had a real rich bitter cocoa aroma to them which coupled up with sweet banana, and made me eager to tuck into these immediately. The intense chocolate was once more except the crisp inner was replaced with chewy and a little gooey plantain. Surprisingly both flavours were equal when it came to taste. The plantain was banana-licious and took the edge off the intense chocolate which meant I couldn’t stop eating these delicious bites! 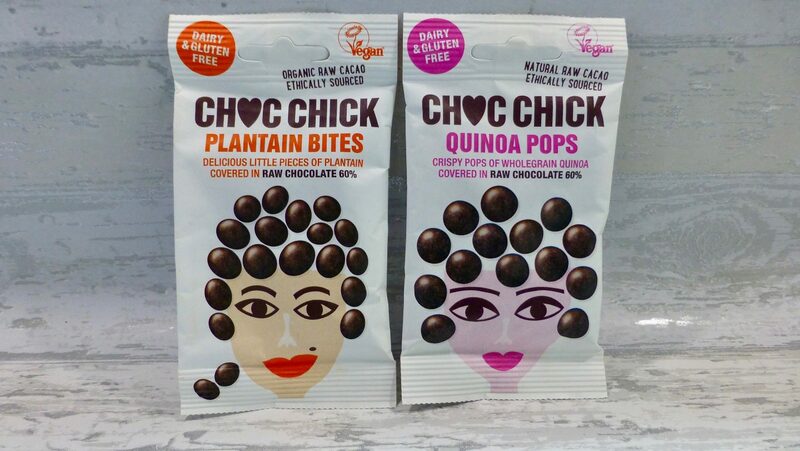 Choc Chick Quinoa Pops and Plantain Bites are delicious and I cannot think of anything that would make these better. If I had to pick just one, it would be tough, but the Plantain Bites would take the crown purely because I love banana, and together with chocolate you really cant go wrong! You can absolutely taste the quality of the ingredients used and the fact that all are ethically sourced and favours the farmers is fantastic. I cannot wait to see what will be next on the Choc Chick snack scene.